If you’re a budding photographer, buying a full-frame camera with lenses will only be useless. Instead, look for something that just needs one backpack. What are the camera sensor sizes we find today? Read on to find out. Canon has announced the new PowerShot G9 X Mark II digital camera which features the latest DIGIC 7 processor aimed specifically at mobile filmmakers. Kodak and Bullitt Group announced the launch of Kodak Ektra, a brand new smartphone aimed at photographers. The latest smartphone runs on a deca-core MediaTek Helio X20 clocked at 2.3GHz along with 3GB DDR3 RAM. High-resolution sensor, fun-to-use effect filters, 5x optical zoom and HD video recording are some of the features that are common to point-and-shoot cameras. 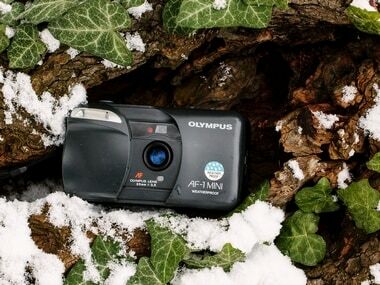 The Olympus Stylus VG-190 is aimed at those who want a point-and-shoot with a feature set better than the most basic models. Nikon recently added four new cameras to its Coolpix series—the L820, L28, L27 and S2700. The cameras will be hitting stores this week.